Brace yourselves, summer is coming to an end. Pretty soon you’re going to trade in your bathing suits and flip-flops for jeans and sweatshirts. But before the fall weather rolls in and the leaves begin to change, there’s still some time to embark on those summer outdoor projects before colder temps set in. Here are five end-of-summer outdoor home improvement projects to help make your transition to fall a smooth one. Just because summer is coming to an end doesn’t mean you have to give up the outdoors just yet. If you love to spend time outside your home but lack the outdoor living space to do so, check out our steps on how to build a paver patio. A patio is just one of many outdoor projects that make a great addition to any home. Patios provide a place to gather, barbecue or simply relax. Patios – which are a type of hardscape – require very little maintenance, have a long lifespan and are typically cheaper than if you were to add a deck in the same space. In terms of paver patio installation, pavers are popular because they’re versatile. They come in many different colors, shapes and patterns to create an assortment of paver patio designs. Whether you’re hardscaping or softscaping, a patio is one of the many ways to enhance your landscape before summer ends. Your roof is the one component of your home that is constantly exposed to sunlight and precipitation. Naturally, its surface begins to change over time. And with fall right around the corner, now is the time to inspect your roof. If you notice any signs of deterioration, it may be necessary to remove and replace the shingles on your roof in order to extend its lifespan. Doing this will help protect the interior of your home from water damage. 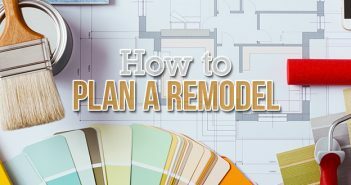 Replacing a roof aligns with the summer home projects that take time, but the payoff is worth it. Much like your roof, your home’s siding is also constantly exposed to sunlight and precipitation. It’s also susceptible to dents. Just ask folks who live next to a golf course. Homeowner’s insurance, anyone? Just like the many summer home improvement tips available, there are many different options when it comes to a home’s siding, such as brick, metal, stone and wood. There’s also vinyl siding which, since it was introduced to the exterior market in the late 1950’s, has become the number one siding in the country. Not only can vinyl siding improve the overall appearance of a home, but it’s inexpensive, relatively easy to install, requires low maintenance and is highly versatile. Tired of looking at those dents and dings that are covering your garage door? What about the cracked or peeling paint? 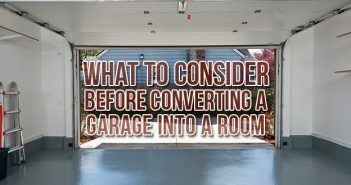 If so, it may be time to replace your garage door. A new garage door is a great outdoor home improvement project because it not only will improve your home’s curb appeal, but it will also help keep your possessions and all your summer toys such as bikes, motorcycles and pool accessories safe and secure. Did you know that a garage door replacement has a 91.5 percent return on investment? It’s true! According to the 2016 Cost vs. Value report published by Remodeling Magazine, replacing your garage door is one of the best remodeling projects you can do for your home. Similar to your home’s roof and siding, your deck is exposed to whatever Mother Nature decides to unleash on it. And if you’re looking to enjoy what’s left of summer and spend a few nights on the deck, make time for this summer home improvement project. If your deck is looking a little rough, it may be time to do a deck makeover from start to finish. Inspect your deck and determine if it just needs a new coat of paint or if there’s serious structural damage that calls for new wooden boards or a complete rebuild. Planning a summer outdoor project? Budget Dumpster is here to help. Call us at 866-284-6164 and rent a roll off dumpster to help dispose of all that construction debris. 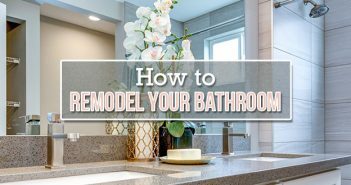 Also, check out our DIY Home Improvement Guide to learn how to do some of the most common home improvement projects.